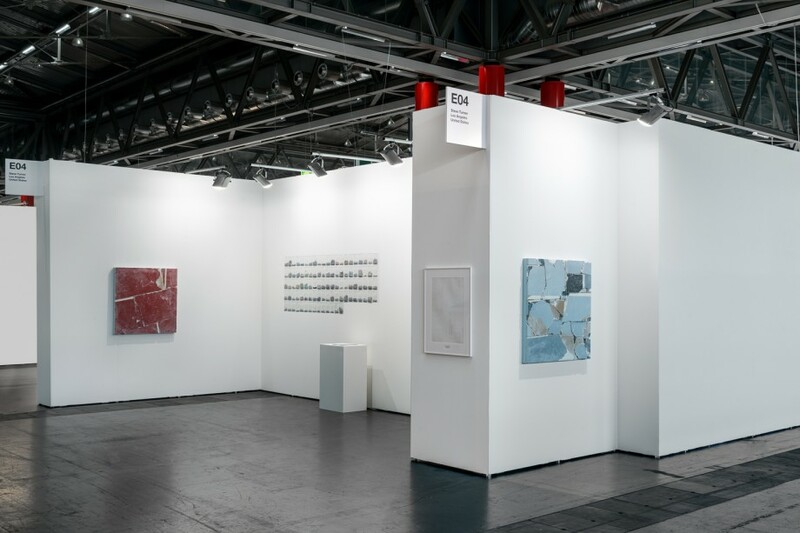 Steve Turner Contemporary will make its debut at ViennaFair where new conceptual works by Maria Anwander (Berlin) and Pablo Rasgado (Mexico City) will be shown. 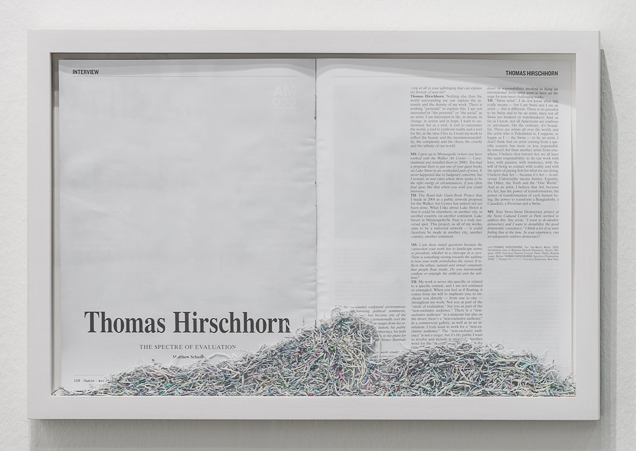 Each artist’s work relates to institutional critique. Maria Anwander’s Erased Pictures from Flash Art Nr. 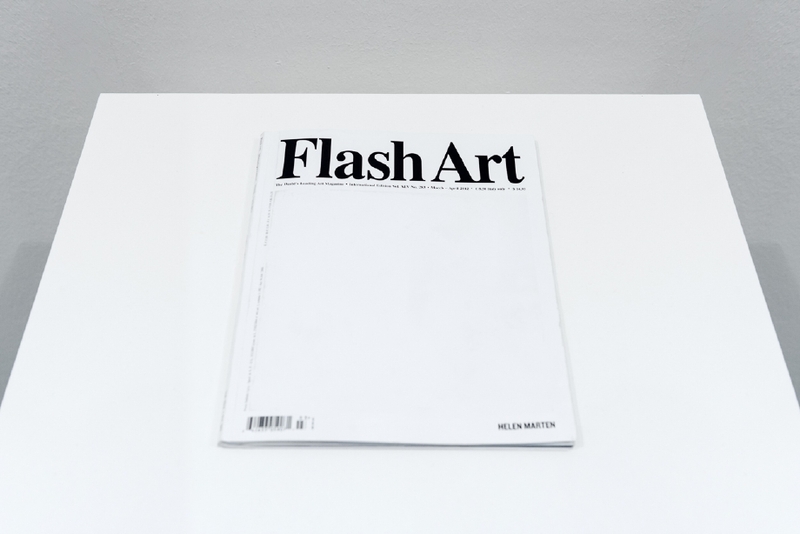 283 consists of an issue of Flash Art in which the artist erased and accumulated the erasure dust from every illustration therein. 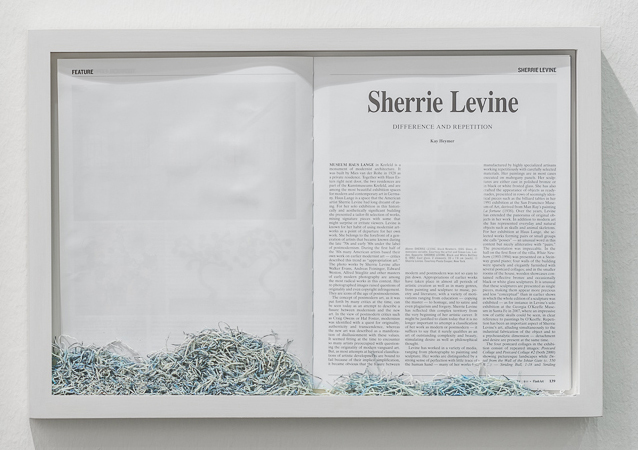 The magazine will be presented on a pedestal with the bags of dust pinned to the wall behind it. 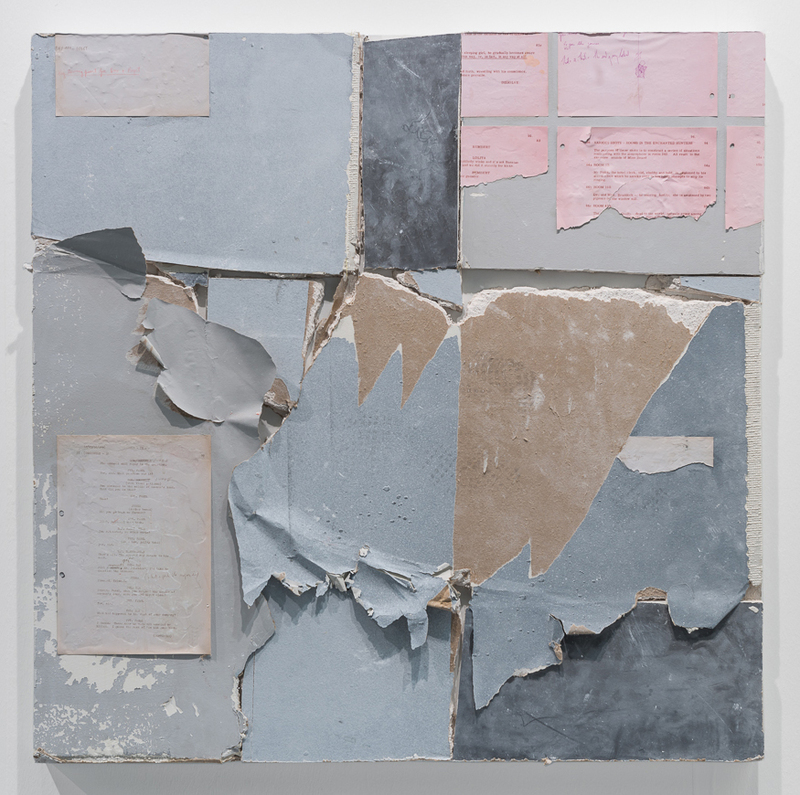 She will also present Erased Rauschenberg Poster, a monochromatic sheet of paper that was a Rauschenberg poster when Anwander bought it at the Museum of Modern Art’s gift shop. 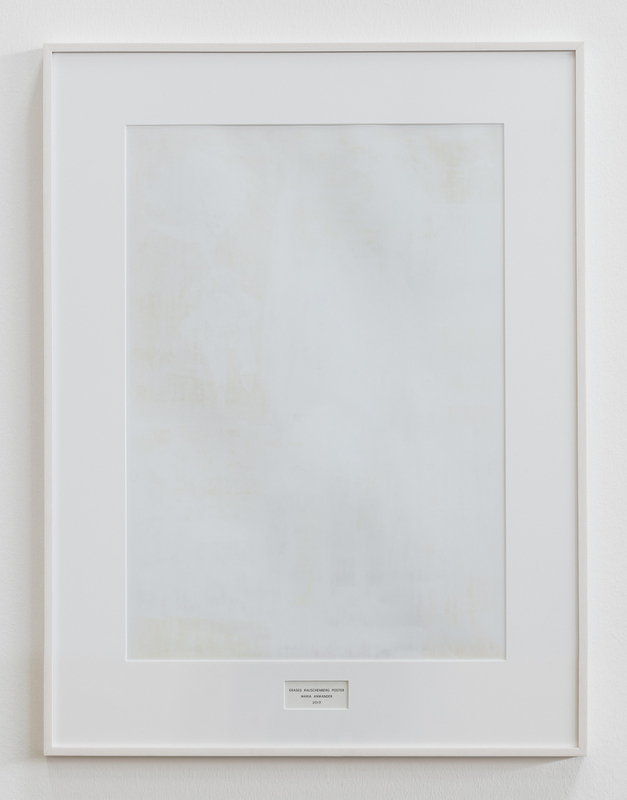 In an homage to Rauschenberg, who entirely erased a DeKooning drawing, Anwander erased the poster. 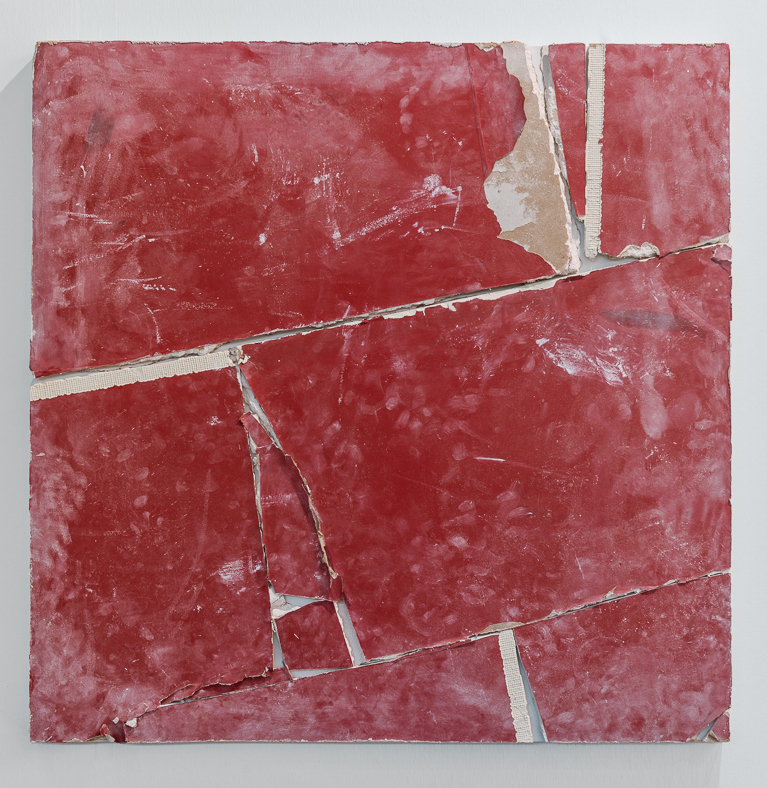 Pablo Rasgado will present new paintings from his ongoing series entitled Unfolded Architecture. They were created from pieces of painted drywall that were previously used as the walls for the Los Angeles County Museum of Art’s Stanley Kubrick exhibition. 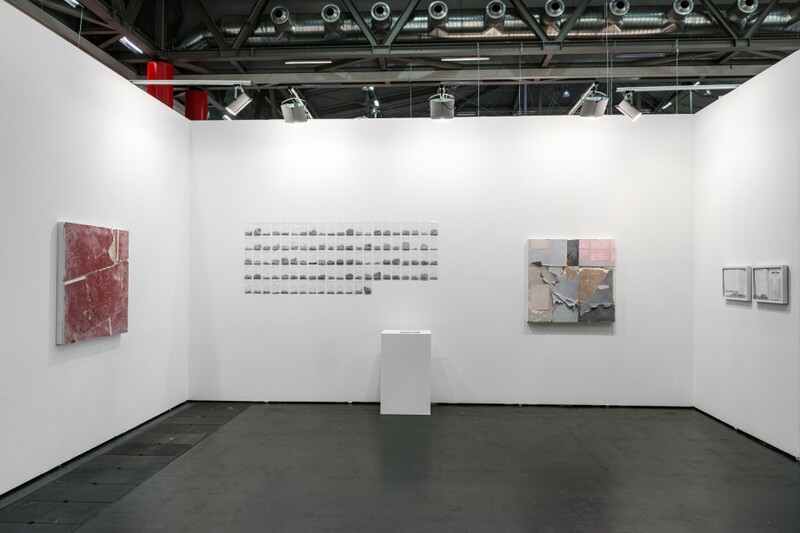 In so doing, Rasgado has transformed the exhibition background material into foreground material and has made the exhibition designer his unwitting collaborator. 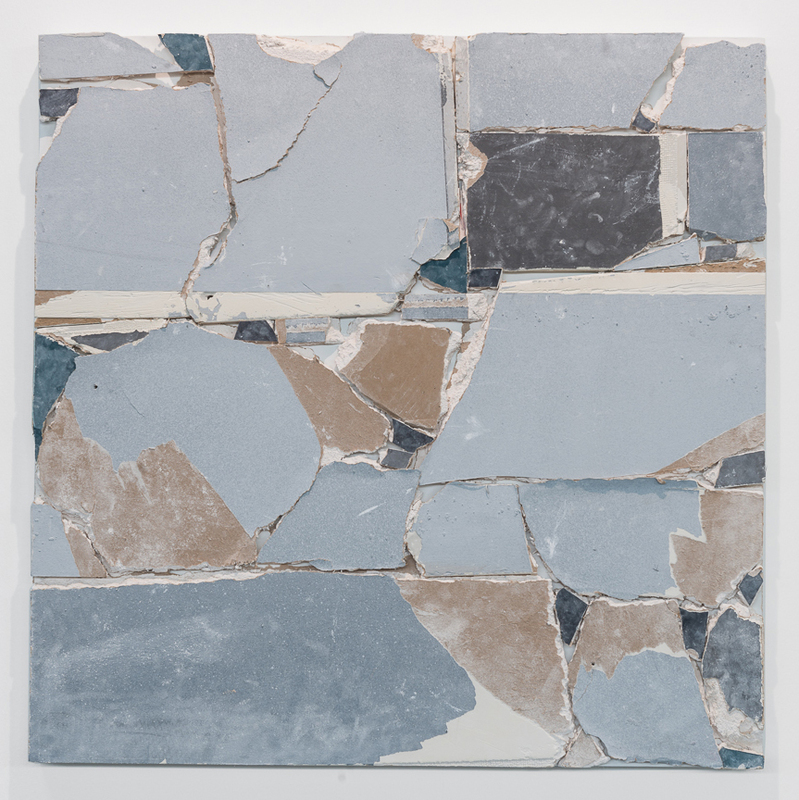 The pairing of Anwander and Rasgado is a reunion of sorts as both were very prominently featured in The Disrespectful, an exhibition curated by Carlos Palacios at the Carillo Gil Museum, Mexico City in 2012. 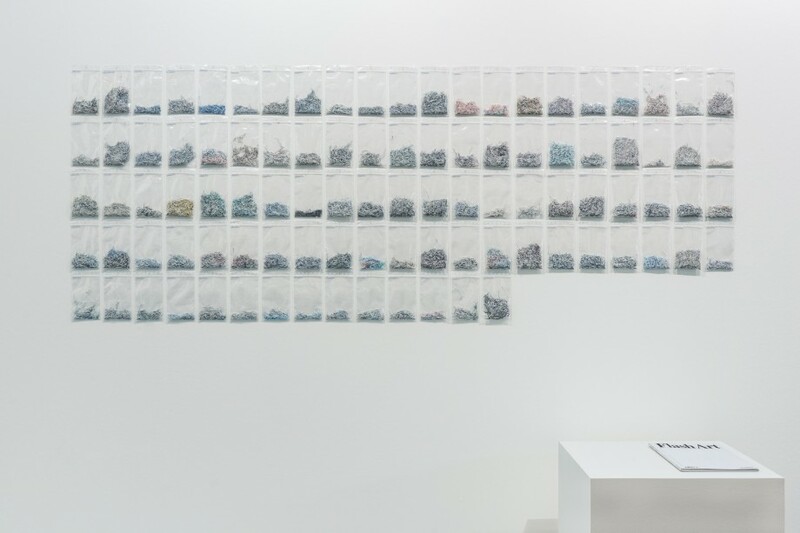 In that exhibition, Anwander presented My Most Favourite Art, her collection of museum wall labels that she had stolen from museums around the world, while Rasgado presented walls that he constructed from painted drywall fragments which he salvaged from the museum’s exhibitions during the previous year. Maria Anwander (born Bregenz, Austria, 1980) studied at the Academy of Fine Arts, Vienna (2008). 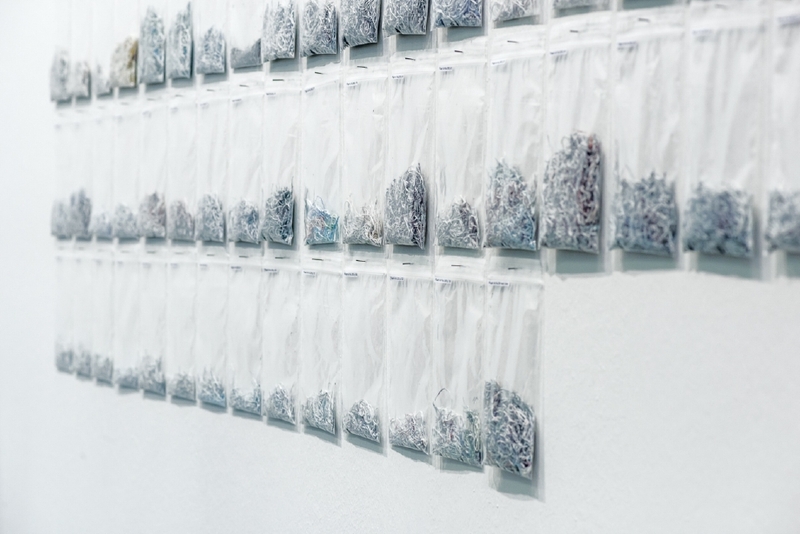 Her work has been featured in a number of solo exhibitions in Europe and the United States since 2009 and she will have her first solo exhibition at Steve Turner in February 2014. She lives and works in Berlin. 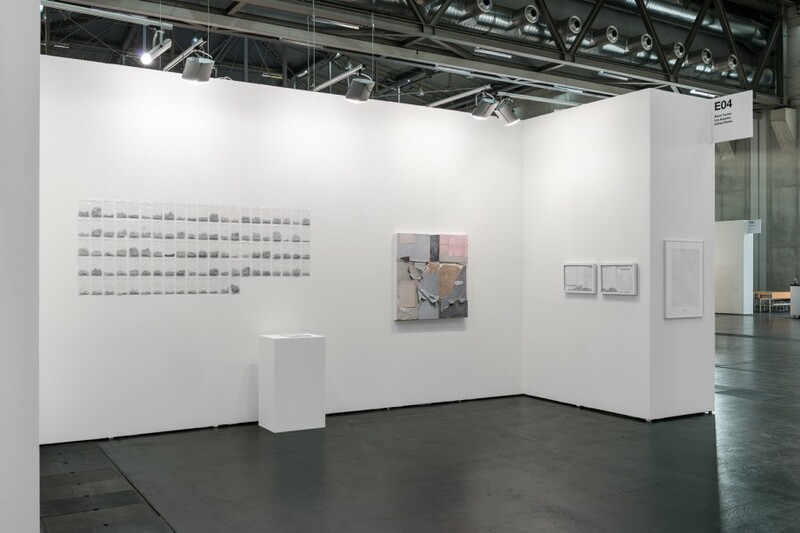 Pablo Rasgado (born Zapopan, Jalisco, Mexico, 1984) has had solo exhibitions at Steve Turner Contemporary (2011, 2012 & 2013) and Arratia Beer, Berlin (2012). He lives and works in Mexico City.